JIM VAIKNORAS/Staff photo. The Pond Street Irregulars enjoy the Yankee Homecoming Parade from the usual spot near the Washington statue on High Street Sunday. 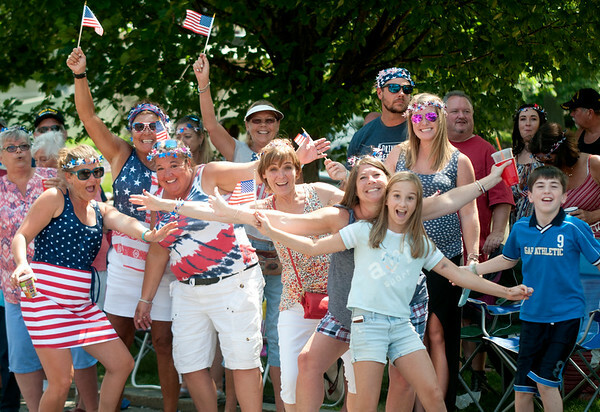 The group of neighbor have been getting together for the parade for the past 20 years.